Finnish Prime Minister Alexander Stubb believes that developing the EU’s internal market and focusing on trade agreements will provide a more effective boost to the European economy than any kind of public investment plan, EURACTIV France reports. Alexander Stubb, Finland’s new Prime Minister, defended the European Stability and Growth Pact during a visit to Paris on 1 October, just days after France presented a 2015 budget showing it would fail to reach its deficit reduction objectives. Invited by French employers group to discuss the recovery in Europe, Alexander Stubb focused on the negative impact of the continent’s chronic lack of economic growth. “Europe is still undergoing a grave economic crisis”. The global banking crisis was followed by the Eurozone debt crisis, but “today we are facing a European crisis of growth,” the Finnish Prime Minister said. If the EU tends to agree on the diagnosis, the potential remedies are more controversial. The Prime Minister argued that “economic competitiveness [is] the sole way of preserving and further improving our European model”. As a fervent believer in liberalism, he sees no reason why a social system and a strong liberal economy should not go hand in hand. “In Finland, liberalism and the social model work together,” he explained. The Finnish Prime Minister’s speech was intended to be a wake-up call to those who believe that Jean-Claude Juncker’s 300 billion euro investment plan would bring all the answers. “public investment – national and European – can help. But it cannot change the picture”. Finland’s recipe to stimulate growth is to expand the internal market – the digital economy, services and capital markets – as well as to strengthen international trade by forging new bilateral agreements such as the Transatlantic Trade and Investment Partnership (TTIP). “We need [transatlantic] market access. We should stop seeing Europe as exceptionally vulnerable to trade, since in fact we have always prospered from it,” Stubb stressed. Greater automation in production would also help cut costs and allow Europe to compete with emerging economies, digital technologies and the management of climate change, he said. Stubb said Jean-Claude Juncker’s political guidelines for the new Commission already cover all these areas, and that “this European program deserves our strong support”. With Alexander Stubb’s predecessor, Jyrki Katainen, receiving the Commission portfolio of Vice-President for Jobs, Growth, Investment and Competitiveness, Finland’s importance is set to grow in the new European Commission. Mr Katainen will oversee the work of Pierre Moscovici, the French Commissioner for Economic and Financial Affairs, Taxation and Customs. Mr Stubb declared himself in favour of this system, saying he was “sure that the cooperation between Pierre Moscovici, Jyrki Katainen and Valdis Dombrovskis, the Latvian Vice-President for the Euro and Social Dialogue, will work very well”. The new president of the European Commission, Jean-Claude Juncker, has announced a plan to mobilise 300 billion euro in an effort to kick-start the European economy. The details of the plan will be given in November, once the new European Commission has taken office. This money will be used primarily to bolster the capital of the European investment bank. I think he is planning for an economic surge, well whatever it is, if its for the common good then be it. We have a single market with different economies !! How should this work ! 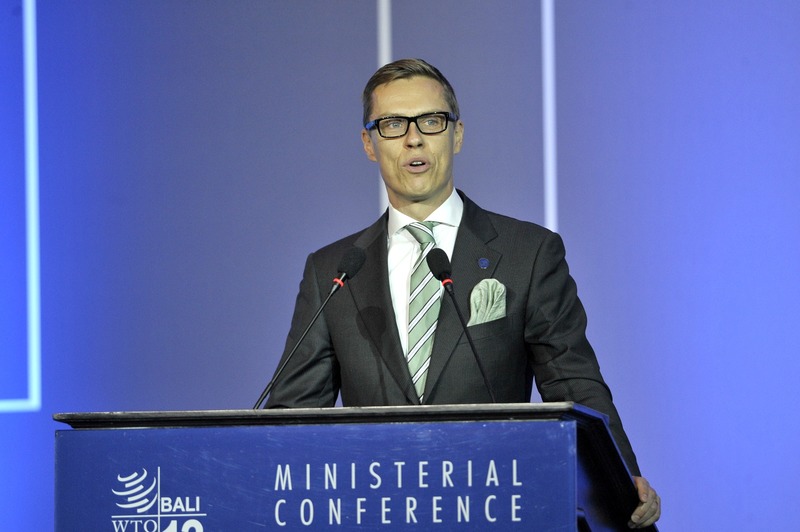 Only when Alexander Stubb works together with the President of the commission – of course results maybe better ! But different company taxes from one country to another ..different fiscalities..!a kind of mixture ..clearly a disaster ..for internal competition. So thinking national does have zero effect ! What do you want homogeneity or heterogeneity? The economy of the U.S. is homogeneous ! Their basics is the way to begin with !